Monmouth chelsea boot is an adored ultra-classic in Church´s collection. Plain and modest design gives space to the refined shape of the last. The front part of the shoe is left without seams creating sophisticated clean look to the shoe. Pull-tap on the back for easy wearing and elastic panels along each side for improved fit and comfort. The sole is made with precious goodyear welt construction for easy resoling and superior durability. Welt stitches are stitched through the sole creating a finished look to the outsole. Monmouth ankle boot is made from Churc. 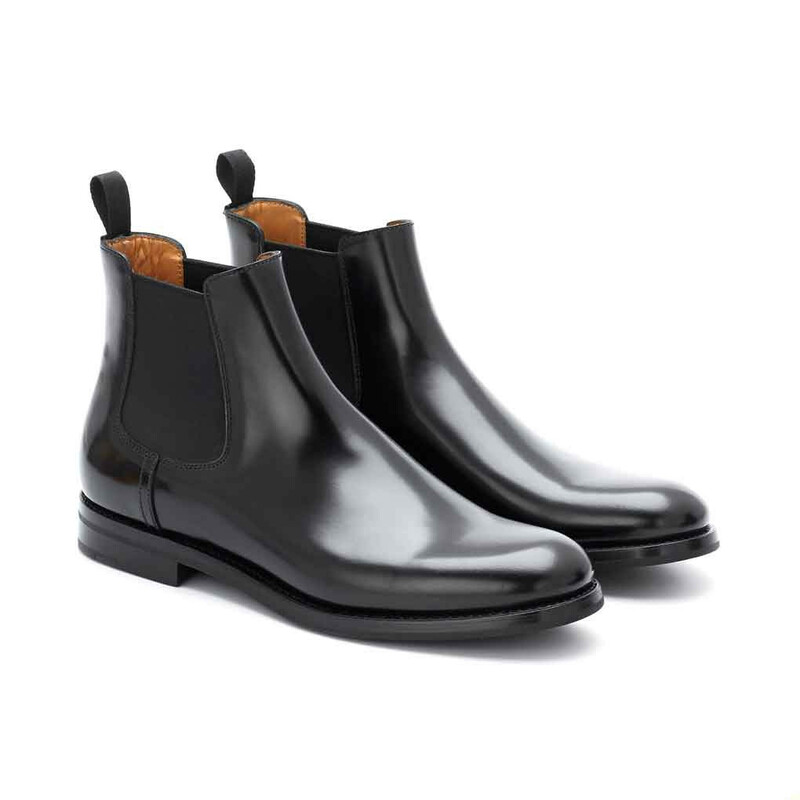 Read more..
Monmouth chelsea boot is an adored ultra-classic in Church´s collection. Plain and modest design gives space to the refined shape of the last. The front part of the shoe is left without seams creating sophisticated clean look to the shoe. Pull-tap on the back for easy wearing and elastic panels along each side for improved fit and comfort. The sole is made with precious goodyear welt construction for easy resoling and superior durability. Welt stitches are stitched through the sole creating a finished look to the outsole. 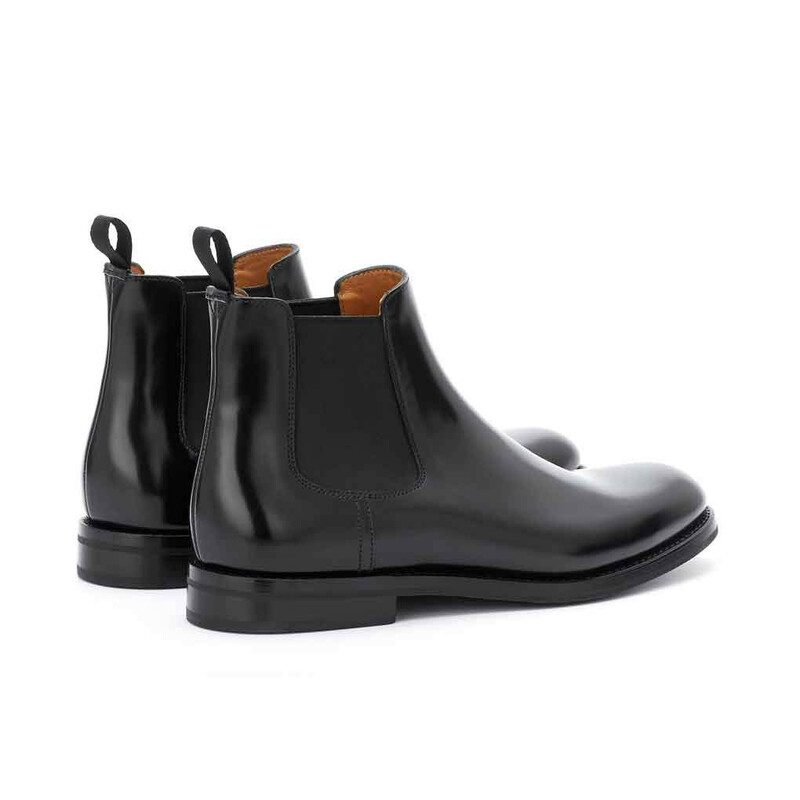 Monmouth ankle boot is made from Church´s renowned polished binder leather. The unique polished binder finish is applied to full grain leather, giving the shoes a beautiful, deep shine. 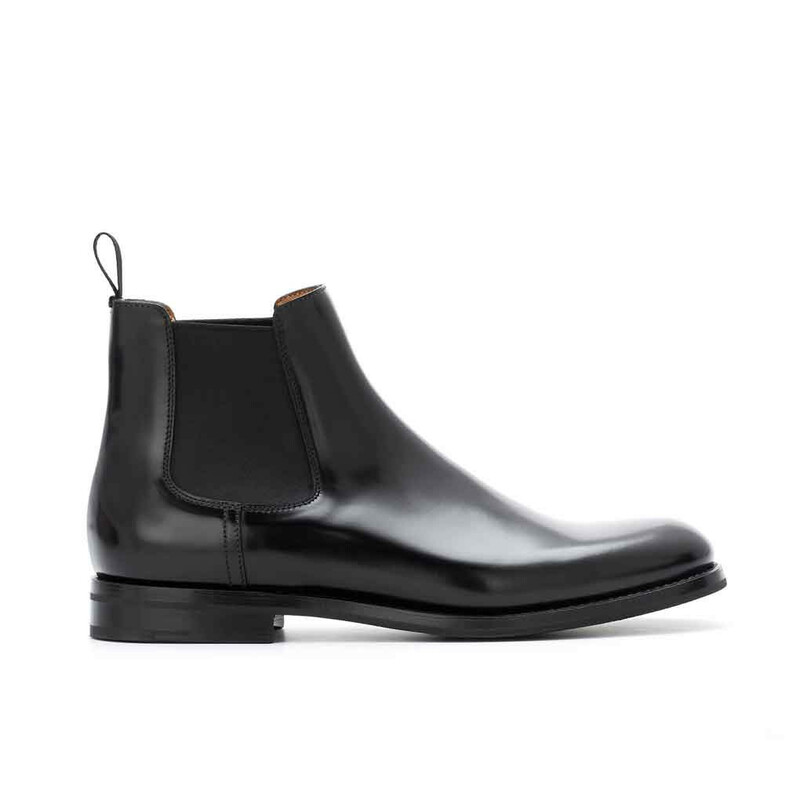 Chelsea boot refers to a shoe style with elasticised panels along the sides of the shoe. The style is free of zippers and closures and thus easy to slip on. This type of shoe has it roots as far as in Victorian Era. Design was developed by J. Sparkes-Hall, boot maker to HM Queen Victoria. Despite that new interpretations of this original chelsea boot has been made throughout history it has kept its recognizable design. The appeal in the most chelsea shoes is still incredibly similar as in the first pair Hall made for HM. Later this type of shoe has been generally referred to seventies Mod style and for the most the Beatles; the group that has irreversibly influenced our fashion evolution. FYI. This shoes runs slightly big in size. We advise you to take a half size smaller than your regular Italian / European size. Shoe fits snug initially and will stretch out and smoothen with wear. 1 x Monmouth Chelsea was added to your shopping bag. 1 x Monmouth Chelsea was added to your wishlist.